And yesterday I was still over him. I wasn't like the rest of my city partying ,creating memes because 'The KANG was back '. Now granted I'm from Cleveland so I was slightly excited about the situation. But this morning I wrote the article written by LBJ himself. 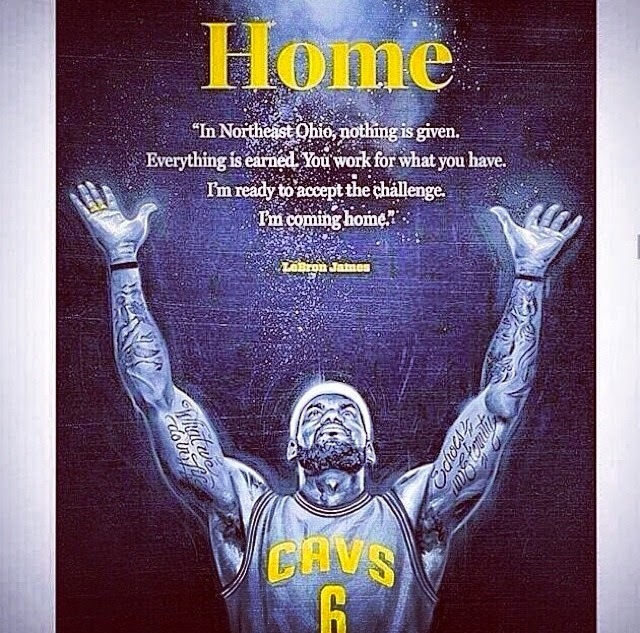 In the article he explained why he left,why he is coming back ,speaking to Dan Gilbert,the hurt fans,etc. This man showed humility,maturity and growth. No one exactly understands what it is like being from Cleveland or Ohio for that matter. But in a paragraph he expressed exactly what being from NE Ohio is about.